The true pioneer carries tradition on his back, even as he rushes into places traditionalists fear to tread. Before you blaze your own trail, outfit yourself with truly pioneering gear: denim from Levi’s® Made in the USA collection. The collection is a modern take on Levi Strauss’ 1873 riveted jeans, the original outfit of the undaunted. Built with denim from North Carolina’s historic White Oak Cone Mills, every pair is sturdily constructed in the USA by craftsmen who, while steeped in the past, aren't afraid to think of the future by employing conservation-conscious methods like the Levi's ® Water<Less™ finishing process. The result is a raw, heavy-denim jean that eschews designer distress marks, because before you look battle-tested, you've got to go out and fight your own battles. 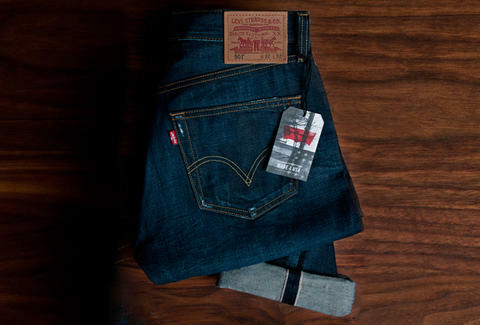 Salute the Made in the USA collection at Levi.com -- rush right in, then get ready for some heavy treading.